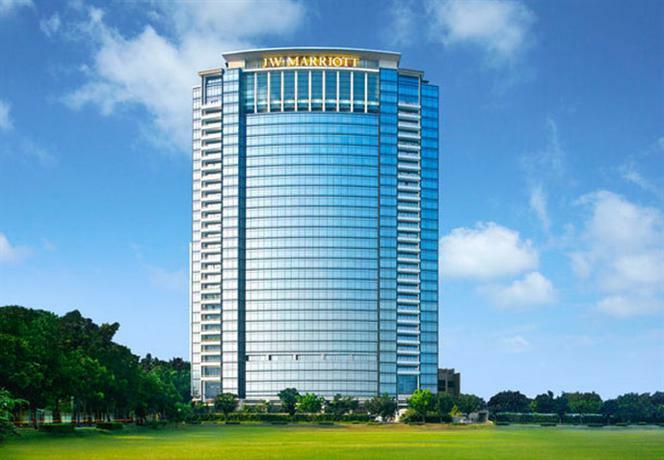 Urban elegance with a touch of royalty, welcome to JW Marriott Hotel Jakarta. Set 30Km from Jakarta International Airport, in the Golden Business Triangle of Mega Kuningan near multinational corporations, embassies and shopping centers, this business hotel in Jakarta indulges guests in a remarkable blend of comfort, luxury and exquisite services with its plush bedding, delightful amenities and superior executive lounge. Nourish your senses in the popular Alameda Spa with signature treatments, relax by the outdoor pool or sweat it out in our fully equipped health club. This luxury Jakarta hotel enthralls guests with its award-winning Jakarta restaurants such as Sailendra Restaurant's buffet with live cooking stations, Asuka Japanese Dining serving premium Japanese dishes and Pearl Chinese Restaurant, serving superb fine dining Cantonese cuisine. Create memorable events in our pillar-less grand ballroom that can hold up to 1500 guests, 17 meeting rooms and state of the art conference facilities.